Installation of collectors and tank. Inlet & Outlet to be provided on the roof.Commissioning and testing. Civil, Electric work on rooftop if required. (On your account). 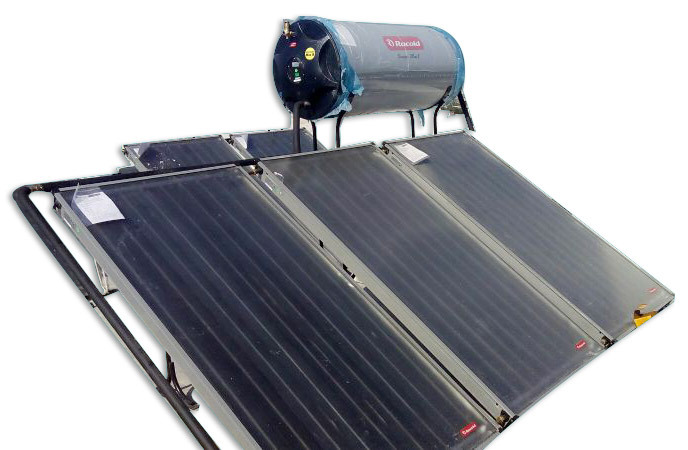 A range of Solar Water Heaters are available in the market. Solar water heaters have the following components. Collectors To collect the thermal energy falling from sun. Heat Mechanism To effectively pass on the heat to medium. Storage Tanks for Hot water storage. Are the primary source of heat collection. Award winning Racold Collectors are manufactured at Chakan, Pune for India rest in Itly. "Energy Conservation Award from Bureau of Energy Efficency(BEE)"
A range of materials are used to make storage tanks. These are prone to deposits and corrosion, limiting their life span. Further they are not able to withstand high-pressure conditions. Racold comes with anti corrosive chemical tanks whereby two layers of vitreous enamel.